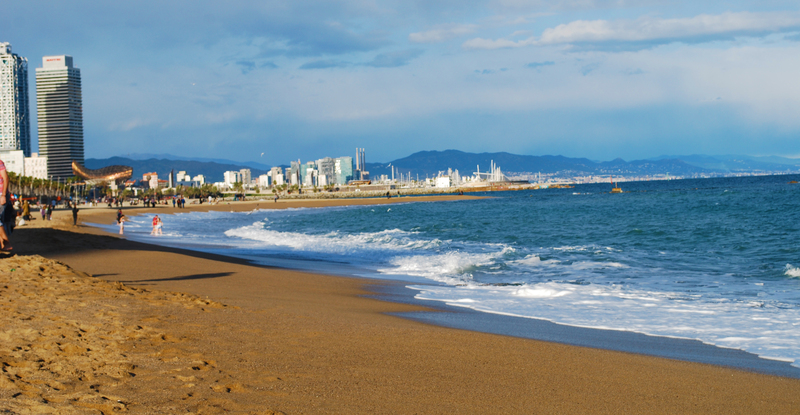 This beach along with Barceloneta Beach is closest to the city and popular with locals as well as tourists. There is a large municipal pool here as well, incase you prefer a swim in the pool to the sea. 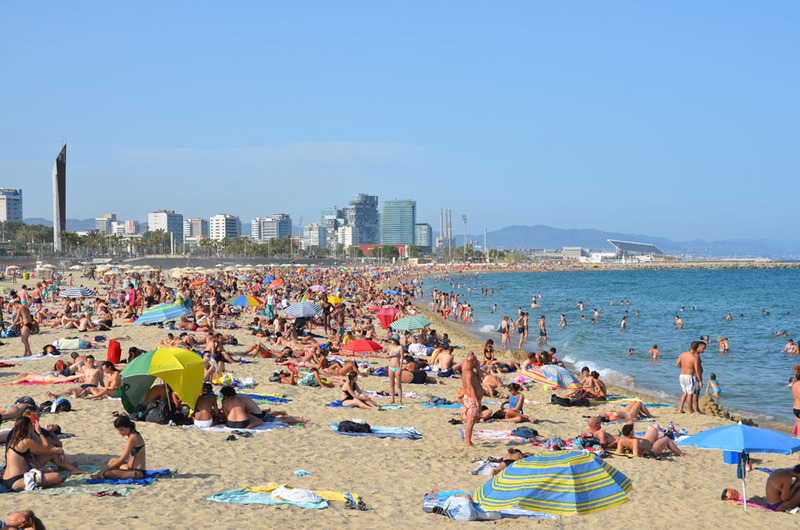 One of the busiest of Barcelona’s beaches, located in front of Plaça del Mar, they have snack bars, restrooms, chairs and umbrellas too. Here you will find wooden paths that go down to the sea, great for people with limited mobility. This is the busiest beach in town, most popular with tourists. Volleyball, chair rentals, wind surfing, kite surfing, wi-fi, amphibian wheelchairs, and more is available at this beach. 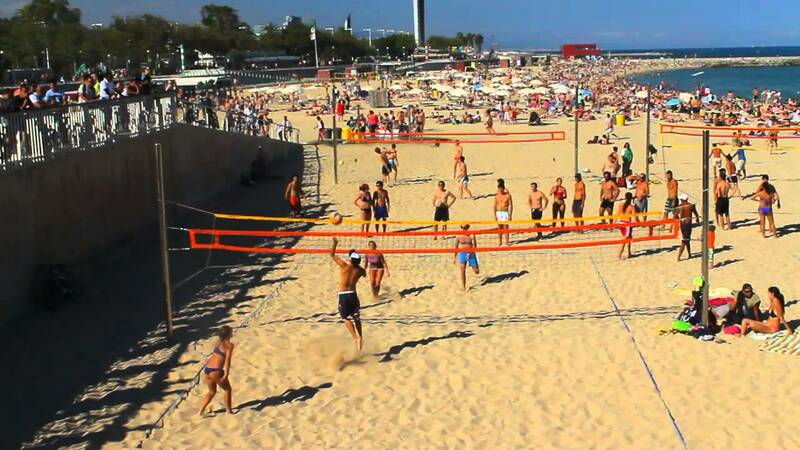 If you like a loud, party atmosphere at the beach, you will find it at this one! This beach spot is a quieter more peaceful destination. This is one of the most popular beaches for families. Situated near Port Olympic, there are lifeguards, beach rentals and is also great for people with limited mobility. 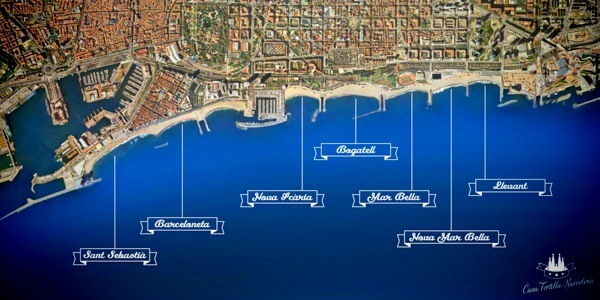 This beach is closer to the suburbs of Barcelona and has the least peddlers of all the beaches. There are lifeguards on duty, chair rentals and equipment rentals – just with less people and some great nearby restaurants too. One of the most beautiful, it does have a nudist section, so may not be your first choice. This beach is popular with surfers as the surf break here is good. La Nova Mar Bella Beach. 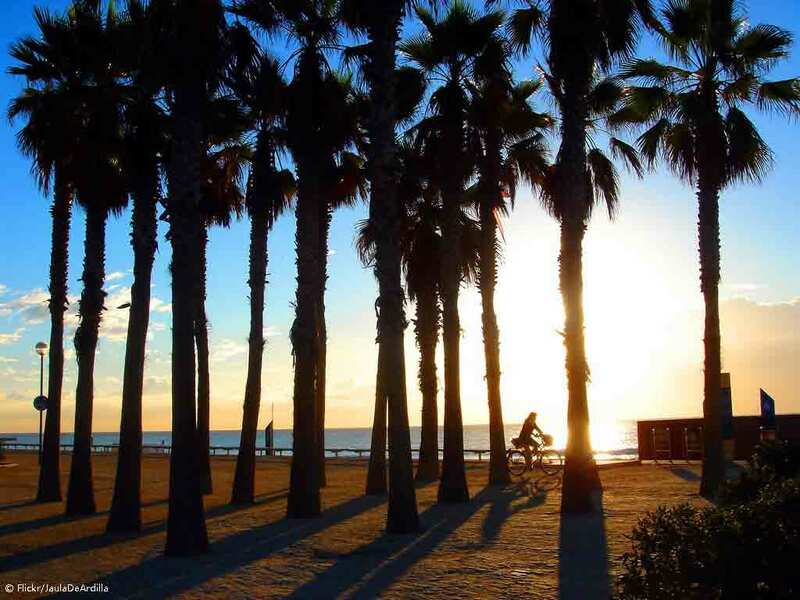 This is the most quiet and it is the cleanest beach of all the Barcelona beaches. They still have many facilities and rentals, and this beach is popular with locals too. This is the site of a future Marine Zoo, until then there is wide beach area and promenade. New restroom facilities and beach rentals are also here. 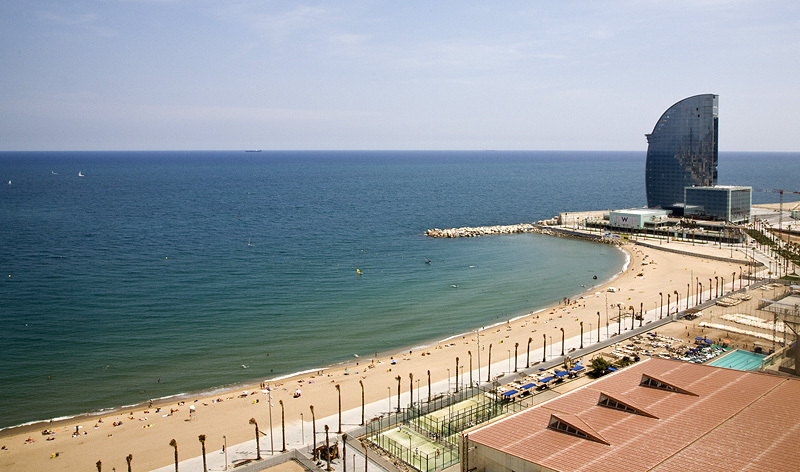 We hope you find a beach that fits your style at our family aparthotel in Barcelona, there sure is a long list to chose from!